1643) and his contemporaries created the Baroque era of music. “fresh, strong singing” – N.Y. Times. “revered like rock stars within the early music scene” – New York Times. “drop dead gorgeous with a wonderful interplay of timbres.” – Early Music America. Duo Concertante for violin, bass & piano! “Intensely committed performances” – The N.Y. Times. the exciting G Minor Op.25 Gypsy Rondo! “Individual technical precision and a collective musical purpose that is endlessly compelling…Sheer brilliance." – The Strad. muscularity…” – Allan Kozinn, The New York Times. TCHAIKOVSKY’s String Quartet #3 in E-flat Minor, Op.30; Mason BATES’ From Amber Frozen; and SCHUBERT’s String Quartet in G Major, D.887! “the young American string quartet of the moment” – The New Yorker. “their Kennedy Center debut shows why they should be on the must-hear list…a triumph.” – The Washington Post . Three beloved piano quartets — MOZART’s #1 in G Minor, K.478, SCHUMANN’s in E-flat Op.47, and FAURÉ’s #2 in G Minor Op.45! “The whole performance had a prismatic vigor” – Indianapolis Star. “This was a performance of great finesse and sensitivity.” – Register, Napa Valley. BEETHOVEN Quartet in E Minor, Op.59 #2, Razumovsky; and TCHAIKOVSKY String Quartet #2 in F Major, Op.22! 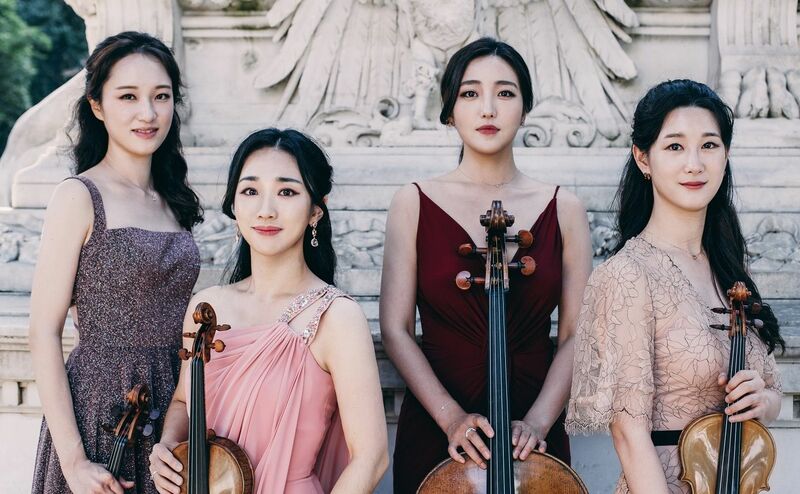 “The Ying Quartet came as close to the ideal as possible, delivering chamber music of astonishing, refreshing exaltation and exhilaration.” – The Los Angeles Times. Concerts are held at the historic Trianon Theatre, 72 N. Fifth Street in downtown San Jose, 1/2 block north of E. Santa Clara Street. Each event begins with a pre-concert talk forty-five minutes before the concert. Courtly Italian Early Baroque—the passionate, fiery and inventive vocal and instrumental music with which Claudio Monteverdi (1567 - 1643) and his contemporaries created the Baroque era of music. 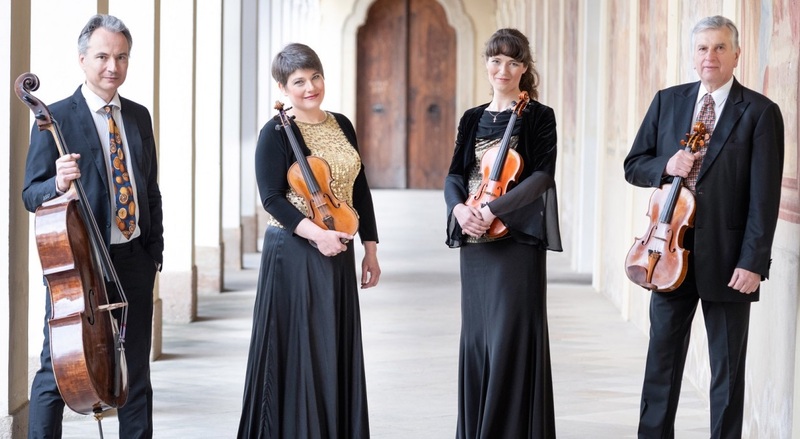 Quicksilver, share selections from their “well-rounded and impeccably performed” (Classical Ear) hit program UNO + ONE: Italia Nostra. 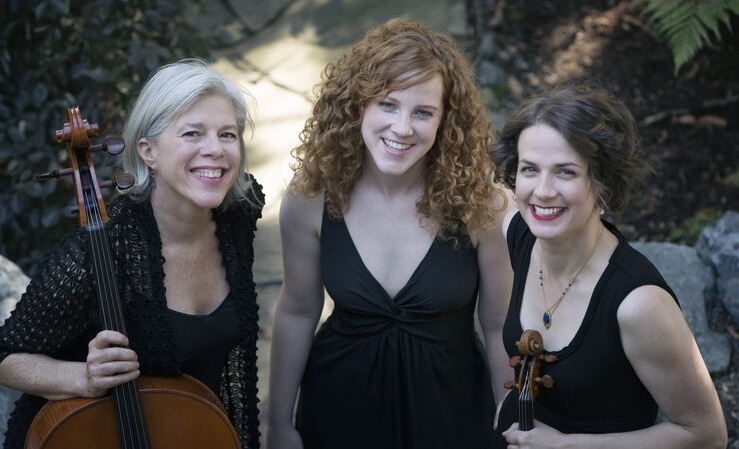 Quicksilver Baroque’s historically-informed performers are “revered like rock stars with in the early music scene” (N.Y. Times), and play “drop dead gorgeous with a wonderful interplay of timbres.” (Early Music America). “irresistible” (Fanfare magazine). SCHUBERT Piano Quintet in A Major, D.667, Trout (1819). Beethoven’s variations on Pamina & Papageno’s 1st act duet from the Magic Flute are beguiling. Schubert’s Apreggione Sonata was composed for a now-extinct bowed guitar. Bottesini’s Grand Duo showed off his virtuosity on the double bass. Schubert’s enduringly delightful, lyric, and deeply satisfying Piano Quintet uses the double bass and his familiar song Die Forelle (The Trout). The Society’s concerts are praised for extraordinary quality — whether at home in Alice Tully Hall on tour worldwide. Our musicians are: sought-after piano soloist Orion Weiss; violinist Paul Huang — 2015 Avery Fisher Career Grant recipient; violist Paul Neubauer, “a master musician” (The N.Y. Times); Miami Quartet founding cellist Keith Robinson; and 2018 Avery Fisher Grant winner bassist Xavier Foley. BRAHMS Piano Quartet #1 in G Minor, Op.25, Gypsy Rondo (1857-61). Hungarian Ernst von Dohnanyi’s Serenade is his attempt to update the classical string trio of Beethoven’s times. Mozart’s piano quartets—the first great ones—collegially balance the roles and sonorities of piano and strings. Brahms’ broad, expressive Piano Quartet captivates with its boisterous Hungarian tour-de-force Rondo ‘in the Gypsy Style’. The Escher, regular guests at Wigmore Hall-London, are Season Artists of the Chamber Music Society of Lincoln Center. “Individual technical precision and a collective musical purpose that is endlessly compelling…Sheer brilliance. (The Strad). • Jon Nakamatsu is known internationally for the panache and elegance of his performances. “Mr. Nakamatsu delivered both a graceful singing quality and assertive muscularity…” — Allan Kozinn, The New York Times. Tchaikovsky’s symphonic-scale Quartet #3 (a debut for us) is profoundly felt and sustains sorrow in memoriam for friend and champion, the violinist Ferdinand Laub. time of the world around it. • Schubert’s epic, expansive Quartet stretches time, suspending and transporting us in fluid duality of dark and light. The phenomenal Dover Quartet leapt to international stardom with a stunning sweep of the 2013 Banff Competition. Recently named the Cleveland Quartet Award winner, and awarded the coveted Avery Fisher Career Grant, the Dover has become one of the most in-demand ensembles in the world. Their April 2017 debut for us merited a prompt return! “…the Dover Quartet have it in them to become the next Guarneri… – they’re that good.” (The Chicago Tribune). FAURÉ Piano Quartet #2 in G Minor, Op.45 (1886). Mozart’s quartet in his sublime key of G Minor balances the concerto-like piano part with equally strong, interesting string parts. Schumann’s impassioned, Romantic quartet richly expresses his thoughts and feelings with clarity and concision. Fauré’s deeply personal, G Minor Quartet, in cyclic form, has supple originality, emotional intensity, rhythmic drive, progressive harmony, craftsmanship, and eloquence. The Fauré Piano Quartett—winner of music competitions and recording awards—has established itself as one of the world’s leading piano quartets, as we heard first-hand here in their 2010 concert. The Quartett—formed in Karlsruhe in 1995 for the Fauré 150th anniversary—is pioneering, and world-touring (e.g. Wigmore Hall-London, Teatro Colon-Buenos Aires). “The whole performance had a prismatic vigor.” – Indianapolis Star. “This quartet thinks and breathes as one...” (Toronto Star). TCHAIKOVSKY String Quartet #2 in F Major, Op.22 (1874). Beethoven used the three quartets commissioned by Russian Ambassador Count Razumovsky to greatly expand the string quartet form—or genre—in complexity, length and wider emotional compass. The lyrical work has a dark intensity. Tchaikovsky considered his Quartet #2 (a debut for us) “one of my best compositions; none has flowed out of me so easily and simply”—in melodic, lyric, and dramatic expression of emotion. Its Andante is intensely personal. 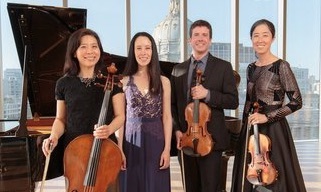 Welcome back the Ying String Quartet, quartet-in-residence at the prestigious Eastman School of Music (Rochester N.Y.). Its three Ying siblings performed for us in 2000 and 2002. Now in its third decade, the Quartet has established itself as an ensemble of the highest musical qualifications. Their Tchaikovsky CD won Grammy nomination. 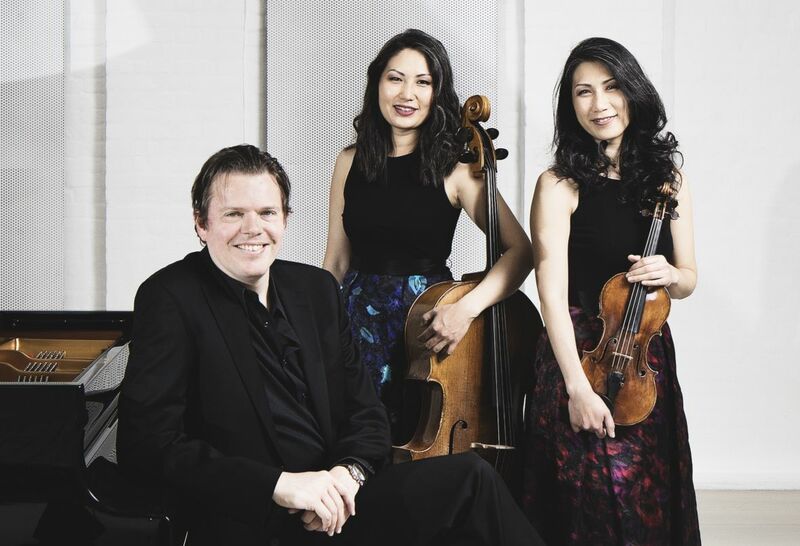 “The Ying Quartet came as close to the ideal as possible, delivering chamber music of astonishing, refreshing exaltation and exhilaration.” (The Los Angeles Times).